Whether you are enjoying the sun this summer or viewing it from your office window, it can be easy to neglect your skincare. But, as the days get warmer and the sun shines brighter refresh your skincare routine to keep your skin looking fresh and healthy all season. SPF is often at the forefront of any summer skincare campaign, and for very good reason! Protecting your skin from harmful UV rays not only prevents sunburn, but also helps to reduce dark spots and premature wrinkling. Avoid heavy, oily products as they tend to clog pores and cause breakouts. Instead, opt for a lightweight formula to protect your skin without weighing you down. Don’t forget to protect your lips, find a lip balm with SPF in it to prevent a peely pout! Drink water! Inexpensive, quick and easy but makes the world of difference when it comes to your skin. Combat dehydrated skin brought on by elevating temperatures by increasing your water intake. Finding a reusable water bottle can make this step as easy as pie, allowing you to hydrate anytime, anywhere whether you are at your desk, on your daily commute or lucy enough to be lounging on a beach. If you find remembering to drink water a chore, try adding fruits such as lemon to your drink to boost flavour. Alternatively, you can rehydrate your body by consuming fruits and vegetables with a high water content, such as watermelon, to keep your skin looking radiant. Spending any length of time under air conditioning in the office, on the plane or in a hotel room can really drain your skin of moisture so hydrating your skin is a must to maintain bright skin throughout the season. The cold months are behind us and the boots have been shelved for another year. Next step, finding your sandals. Do you find yourself worrying about exposing dry, cracked feet? Incorporating foot care into your summer skincare routine can prevent any embasement, allowing you to show off polished toes. A pedicure really refreshes your feet after a long winter, but they can be pricey. There are many small steps you can take in the comfort of your own home to upgrade your foot care for a fraction of the cost, ensuring you maintain beautiful feet all summer long. Make sure your feet are as pretty as your sandals this summer by adding a scrub and file to your shower. Remembering to exfoliate your feet just twice a week can really improve their softness, removing any dryness to reveal smooth skin. For the ultimate foot spa experience, try generously appling a foot cream before bed, wearing socks for maximum moisture intake. Finally, add a polish. Nothing screams summer quite like a bright nail colour, so experiment with different polishes to finesse your summer look. Most people would shampoo the hair on their head, so applying the same rules to your beard only seems logical right? As temperatures rise this is more important than ever. Combating excess oils that can cause grease and acne is a summer skincare must, so get to grips with a daily beard shampoo and conditioner to leave your beard clean and fresh. 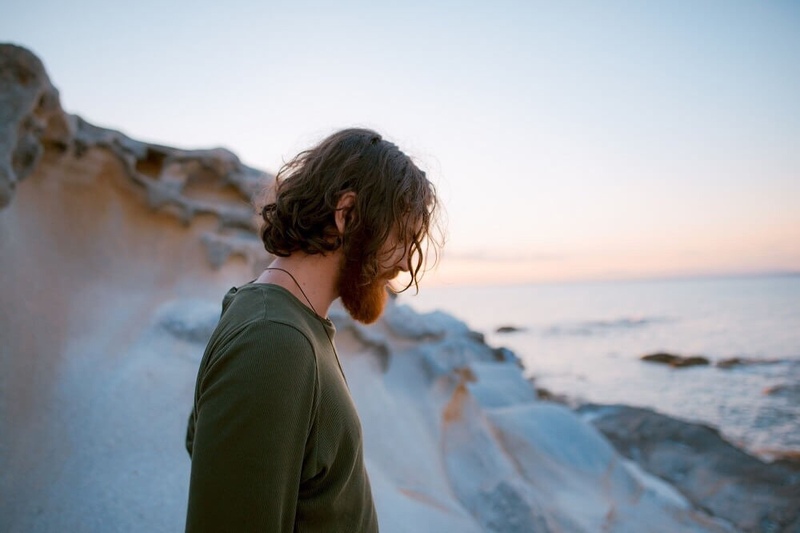 It can sometimes be easy to forget the area of skin under your beard, but as summer dehydrates the skin dandruff can make you acutely aware of this. Using a facial wash or quality beard exfoliator to remove any dead skin cells hidden below your bushy beard leaves you feeling clean and fresh. Another key ingredient for any top-quality facial furnishing is aftershave. From old fashioned splashes that disinfect, to modern balms and lotions that soothe, after shave has multifaceted benefits. Aftershave for beards is a summer must have, ensuring the softested and silkiest of skin. Remove any dry, dead skin cells caused by excessive heat by exfoliating and moisturising. There are many exfoliators available on the market, but you can also opt for natural, homemade alternatives to make this summer skincare tip easier than ever. An added bonus to using homemade exfoliators is the scope this opens to tailor the recipe to your specific skincare requirements. Adding lemon juice to your scrub can help reduce dark spots caused by overexposure to the sun. We recommend exfoliating twice a week, any more than this and you run the risk of stripping your body of it’s essential natural oils. Remembering to moisturise after exfoliation is a must. Moisturisers give you smooth, flake-free skin whilst simultaneously strengthening your skin to fight against UV exposure by replenishing lost moisture. Furthermore, choosing a moisturiser containing aloe can help to alleviate the painful effects of sunburn. Another summer skincare step to consider is the more modern practice of dry brushing. The firm bristles not only remove dead skin cells, but can also help improve circulation, helping the body to eliminate unwanted toxins, making it a highly beneficial process. If you ask anyone about the perks of summer sun on the skin, most people will talk about tanning. Increased sun exposure results in tanned, golden and glowing skin making you look and feel like a bronzed goddess. However, remembering to look after your skin when trying to achieve a tan worthy of envy is easily forgotten. In this day and age the dangers of sun damage and overexposure to UV radiation is well publicised, so be sure to prioritise your skin’s wellbeing throughout the summer months. However, for those of you dying to get a tan, never fear. Protecting your skin from the sun does not have to deny you of bronzed skin. There is a plethora of fake tanning options out there that give you a totally natural looking tan without damaging your skin. Using a gradual tanning moisturiser is a great way to build up a believable tan whilst quenching your skin’s thirst. However, be sure to check the bottle of your product as most fake tans do not contain SPF, meaning you will need to apply a separate suncream to protect your skin. There are no excuses for sore, red, peeling sunburn. Skip the damage of sun exposure and get a beautiful tan from fake tanning products instead. This article was produced in collaboration with The English Shaving Company, established in 1999 to stock a range of men’s grooming products for a quick and easy beard routine. Shop their top of the range products worldwide today. This is a sponsored guest post, written by a third party.